No, it has nothing to do with the world's smallest violin. IBM has announced it is building what could be the world’s tiniest computer. During the IBM Think 2018 conference, taking place this week, the company showcased a computer that has processing power similar to computers in the nineties - but is many times smaller. It is made to track shipping goods, detect theft, fraud and to complete simple tasks, such as sorting incoming data. On this tiny piece of technology, that quite literally looks like a grain of salt, are a few hundred transistors that allow the machine to track, analyse, communicate and react to data. IBM says that the production of these devices cost roughly 10 cents apiece. For IBM, this is just the beginning. The company believes this device, and other similar ones, will become a part of future devices and systems. A prototype is currently being tested, so it is not yet known when this device will make it to mass production and use. However, IBM seems to believe that these things will be mainstream within five years. 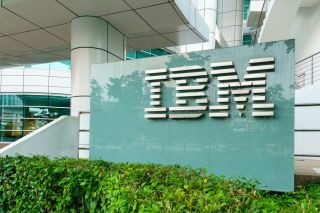 “Within the next five years, cryptographic anchors — such as ink dots or tiny computers smaller than a grain of salt — will be embedded in everyday objects and devices,” IBM said in a blog post.